Cory Monteith and Lea Michele's Last Photos Together! 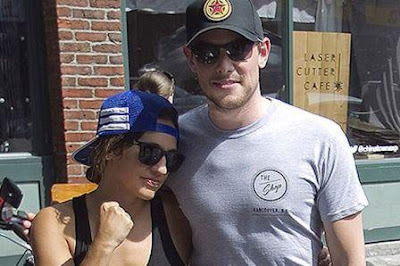 Before the shocking news of Cory Monteith's dead, the actor was seen happy and healthy posing together in a picture with real-life girlfriend Lea Michele. They posed together smiling in a camera last July 6, 2013 in one of the city in Canada. Cory and Lea were two of the lead stars of the hit US musical TV series "Glee." They gave life to the characters of Finn Hudson and Rachel Berry respectively! Before the death of the heartthrob actor, the couple announced their upcoming wedding. Yes, two week to go, they were about to tie the knot! But the wedding eventually turned into a funeral! So sad!